At the Lord Nelson Hotel, the setting is of the maritime kind. The rooms feature sealed deck flooring, a ship valve and an exact model of the antique ship that the room is named after. The room categories are also named after and inspired by life at sea. Victory Hotel, which is just around the corner, houses our restaurants Djuret, Flickan and our Bistro Food Court The Burgundy, as well as our comfortable bar Tweed. On the way there, you will pass another one of our restaurants, Pubologi, on Stora Nygatan 20. 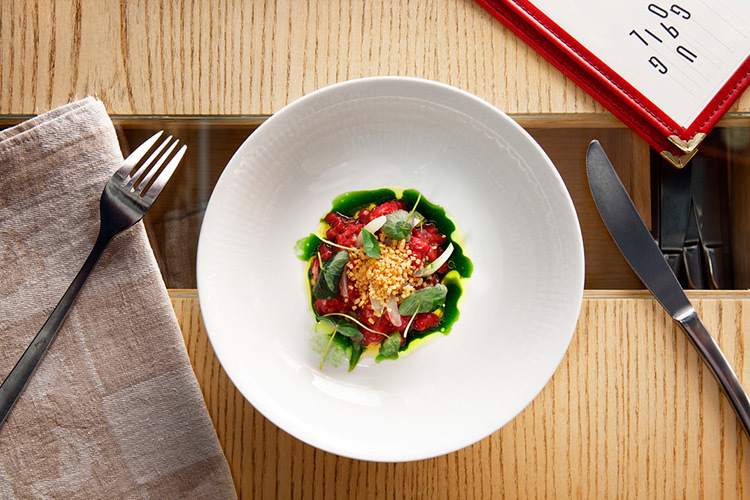 Welcome to reserve a table to get a gastronomic experience during your stay! The hotel has been receiving guests since 1974 and is named after Admiral Lord Nelson, one of England’s greatest heroes of all time. This is not a random choice of name - the owners’ love of the sea and all things maritime is visible throughout the hotel’s interior. 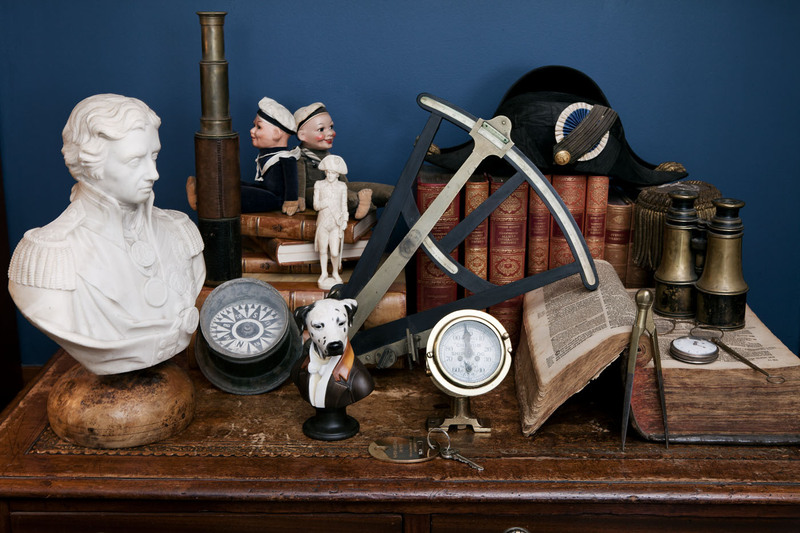 You will find yourself surrounded by a unique collection of marine antiques, passionately collected over half a century by the owners, the Bengtsson family. Lord Nelson is housed in a building that dates back to the 17th century and is reminiscent of an old ship. 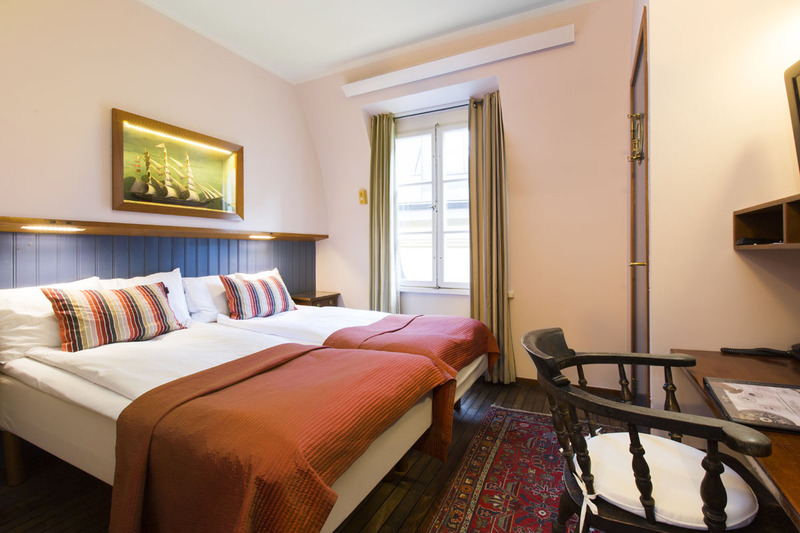 Barely six meters wide, the building on Västerlånggatan 22 in Old Town is undoubtedly the narrowest hotel in Sweden.